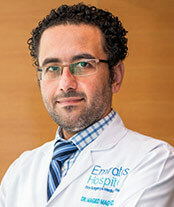 Dr Maged is an experienced Doctor with a demonstrated history of working in the medical practice industry. He is a highly skilled in Internal Medicine, General Surgery Dermatology, Family Medicine, and Emergency. M.B.B.CH Degree in Medicine and Surgery from Faculty of Medicine, Assiut University.